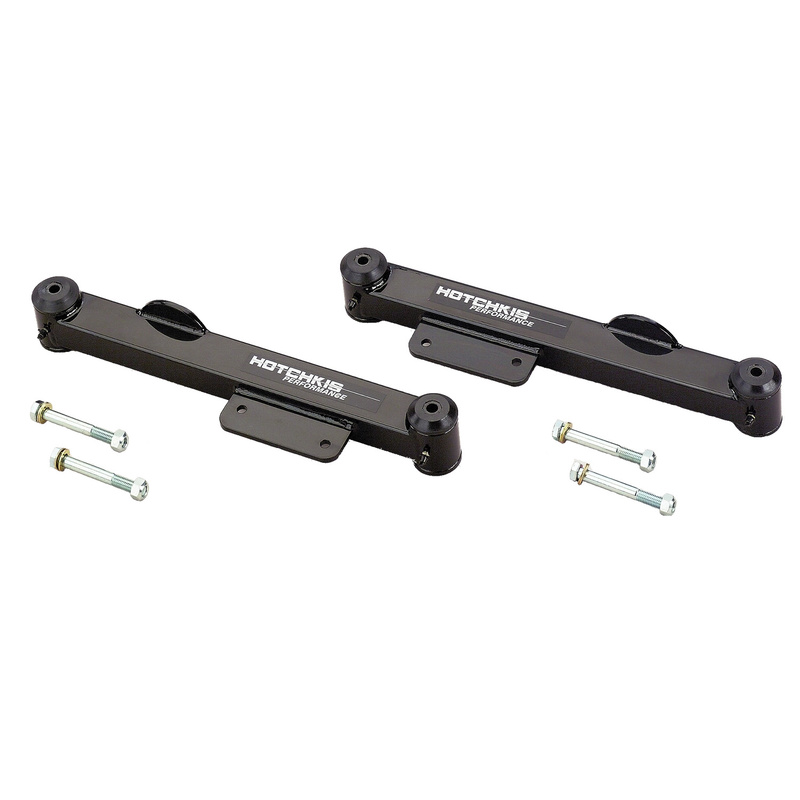 Hotchkis Sport Suspension 1311 1999-2003 Mustang Lower Trailing Arms. Hotchkis Performance lower trailing arms for your 99-2003 Mustang improve traction reduce wheel hop and improve handling and stability. Designed as direct replacements for weak stock trailing arms Hotchkis trailing arms feature TIG-welded construction from one piece of parent material quiet operating greasable polyurethane bushings machined spring perches sway bar mounts and a powder coated finish. Grade 8 hardware included. Black Powder coat.